There are few things that do not taste better with this sauce on them. It is quite spicy and will induce a little bit of sweat while you are eating it, but it is generally not unpleasantly hot. 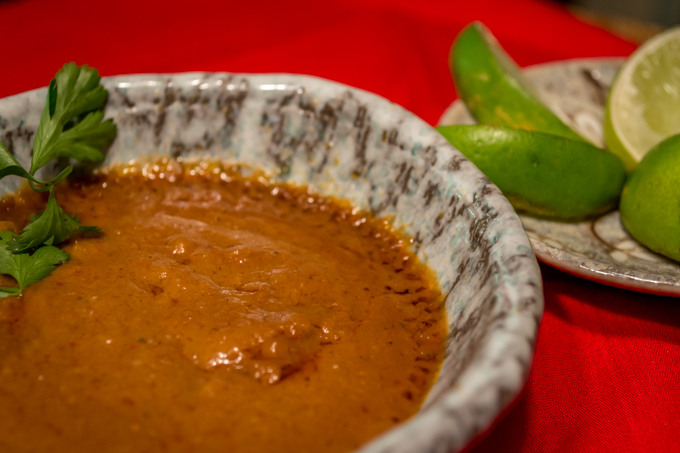 This is the classic peanut sauce to serve with Chicken Sateh. It is richly flavored and would be overly sweet if it weren’t for the tamarind, which adds a fantastic tart flavor that pulls it back from the brink. 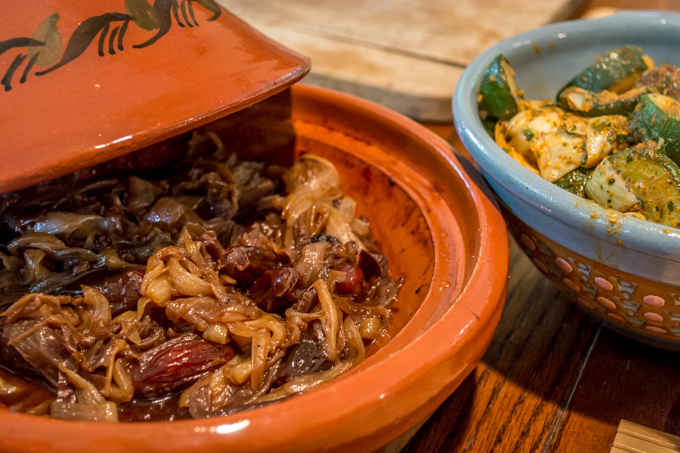 There are a couple of things worth noting about this recipe. There is not much complicated about the technique here, but the ingredients that you use matter. 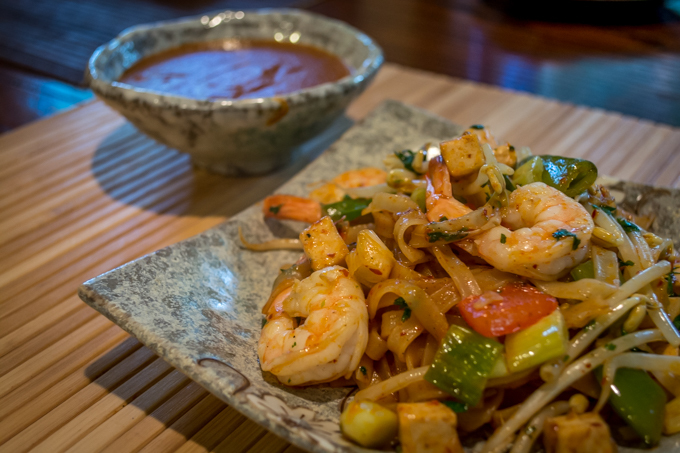 If you don’t do much Thai cooking, you may not be familiar with the concept of curry paste. When you say the work “curry” in teh context of Thai cooking, this is the stuff that you are talking about. Rather than the yellow powder that you buy in a jar, curry paste is a complex blend of chilies, garlic, shallots, lemon grass, galangal, lime leaves/rind, and other spices. Fortunately, it comes in a plastic tub so you don’t have to make it yourself. 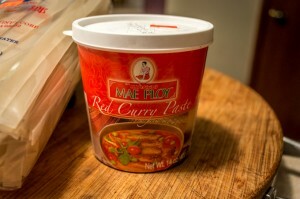 Mae Ploy is the brand I use and it is available in most asian grocery stores. If you can’t find it, drop me a line and I can explain how to make it from scratch…. This one falls in the category of simple and tasty. 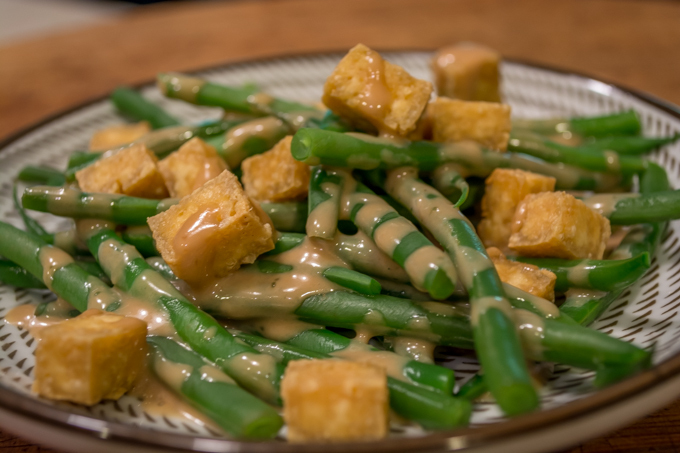 Green beans are blanched, then cooled and dressed with a lovely sauce of sweetened tahini. The slight bitter quality of the tahini combines with the saltiness of the soy to make a really delightful combination. In the photo above, the dish is garnished with fried tofu cubes, which I really like. If you are pressed for time, simply substitute some type of almond. My personal favorites are the Marcona almonds that Brinn gets from Trader Joe’s, but simple slivered ones will work just fine. Dishes like this are a very good reason to keep a small garden. That way yo can be a little bit discriminating about what types of beans you cook. Although there is a wide variety of beans to select from in the grocery stores around here, I know that this is not the case in many parts of the country. We prefer french filet-type beans for blanching and eating fresh, but you may prefer something more strongly flavored. In a pinch, blue lake green beans will do, but they get a little tough if they get too large. I am really looking forward to about a month from now when beans from the garden are available. If you have even a small area that you can till up or even a large pot, I encourage you to grow some beans. It is easy and you will get the type you like to eat. Baker Creek Seeds is a great vendor…still not too late to give either bush or pole beans a go…. I tend to forget how much I like this soup and don’t make it frequently enough. 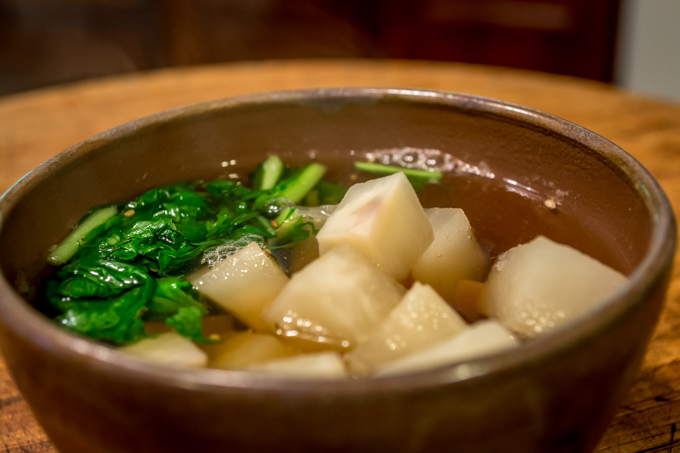 The turnips and roasted sesame seeds give the soup an astringent, almost bitter quality that is brought back just a little bit by the broth, which is very slightly sweet. The small portion of greens that is added may seem like a minor touch, but because this soup is so austere, they play an important role in providing a touch of additional flavor variety. I like some of the more spicy or bitter greens such as mizuna or shungiku (a type of edible chrysanthemum), but spinach would be nice too. In this iteration of the soup, I added a pinch of Sichuan pepper to provide just a little bit of bite to the flavor. I think a pinch of nutmeg would also be a good, but slightly unconventional addition, although I haven’t tried it….